Safety Dynamics, LLC is a full service Environmental, Health and Safety (EHS) consulting firm. Based in Brooklyn, NY, we serve the Tri-State area and beyond. Our services include safety and quality management for construction firms, and construction safety and environmental training courses. Safety Dynamics, LLC has been accredited as an Authorized Provider by the International Association for Continuing Education and Training (IACET). In obtaining this accreditation, Safety Dynamics has demonstrated that it complies with the ANSI/IACET Standard which is recognized internationally as a standard of good practice. As a result of the Authorized Provider status, Safety Dynamics is authorized to offer IACET CEUs for programs that qualify under the ANSI/IACET Standard. Our management team and staff are approved for work in multiple agencies including NYC Transit, NYC Housing Authority, and DEP. Our instructors are not only OSHA-authorized; as part of our safety management staff, they have extensive knowledge of and experience in the field. 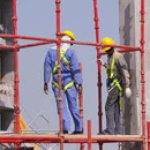 With credentials that include, but are not limited to, the NYC DOB Site Safety Manager License, FDNY Construction Site Fire Safety Manager Certification, C-5 De-leading for Industrial Structures Certification, and Asbestos Inspector License, our instructors are well-qualified to deliver the various courses we offer.